The safety of your account is the chief concern for us. We will not use any cheat and exploit during the leveling. During the leveling, we will not let your account make following activities, such as Player-Kill, Steal, Verbal violence or any other unethical in-game activities. We have very strict internal policy to ensure that all information concerning your account will be confidential. We will never ask any vital information such as password question or password hint that will threat your account safety. Furthermore, your personal and character's information will be absolutely confidential. During the power-level process, our players will not talk to anyone in the game without your request. 24 hours a day’s live chat support can promise a timely information of your power leveling process. 1. please write down your true telephone number. We can contact with you in time if there is any question. Don't worry, we don’t trouble you. 2. please write down (acc name, password and bank pin) when you place the order. It Must be a member acc. 3. 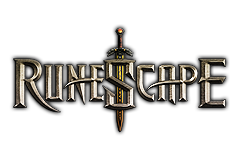 If you need some skills to be trained such as Ranging, Prayer, Magic, construction Runecrafting, Herblore , and Crafting, you should have some stuff or Gold in your account. If you don't have enough items, you can buy your desired one with your on our site.